Advantages of Decorative Metal Can. It is love at first sight. Best suited for high end gift packs. 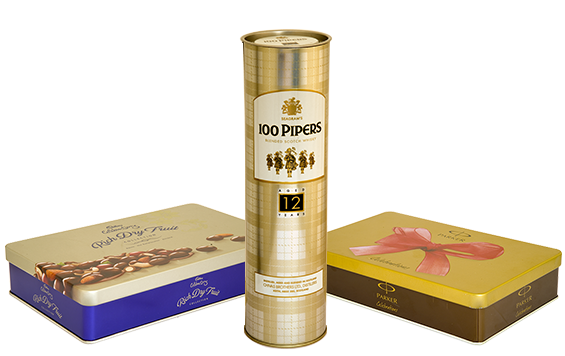 Better printing on metal surface complements packaging of premium product. Embossing gives a new dimension that is aesthetically pleasing to the consumer. Global acceptability & recall value. Decorative metal cans offers rigidity and strong packaging. Environment friendly packaging option, fully recyclable.